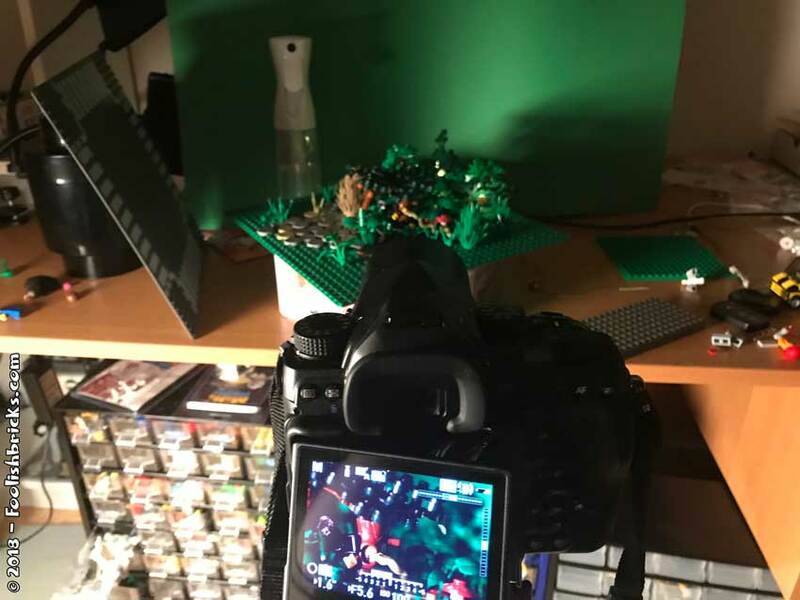 Behind the scenes: "Nature photography gone wrong"
As many of you might know by now, my biggest problem is inspiration! I often need hours to even think of a feasible idea. Because of this, once i have an idea that might work, i don’t ditch it right away if the photo itself does not work. Being in Canada for work, I only had limited (plastic) resources and time to get some photography done. In the end I only created one image I liked (“Eye of the beholder“), but of course I shot a few more images that did not make it. 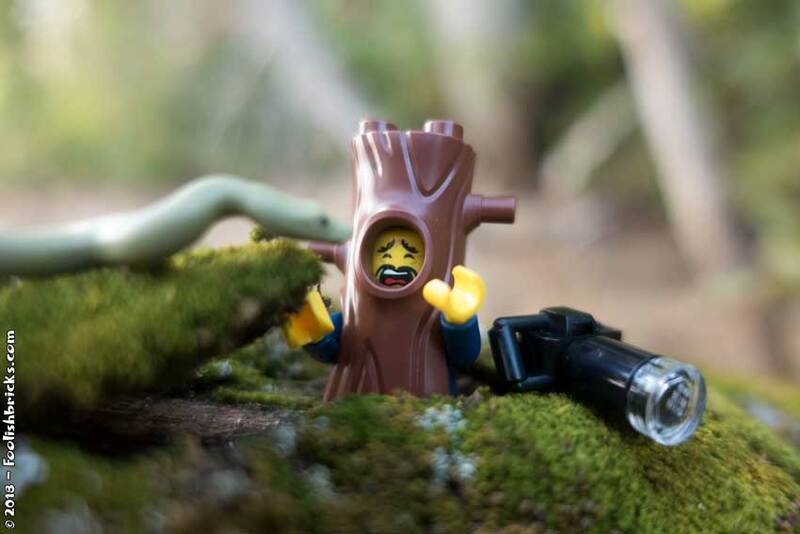 Before I create a “rejected Lego photography“-post, I usually wait to see if the idea is still usable. This idea I tried in nature (under time-pressure), resulting in the images in figure 1 and 2. In hindsight they weren’t too bad, but I didn’t like the light and for some reason the fact that I didn’t use the legs, did not feel right. Also the images looked out of focus to me. sadly, in the end I did not have the time to redo them. 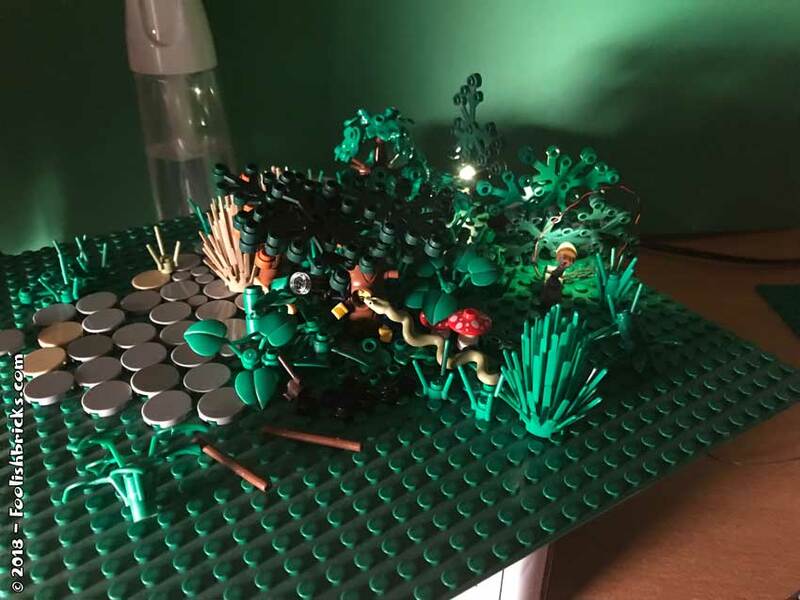 Once home, I decided to recreate the image in my basement, and purely in a Lego environment. This way I could control the light better. The primary setup for this Lego photo can be seen in figure 1. Figure 4 shows a close-up of the setup, showing you a few lights bringing out a few contrasts in the background. Also, it keeps the background from becoming too dark! You can also see a few tiles on the left… this plate I used for another photo before; “the startled guard“. This time it is a pretty straightforward behind the scenes post. The main message is to give your ideas a second, or maybe even a third chance if the first image does not work. Ultimately, I don’t know if I like the resulting image yet. The lighting is nice, but not really logical with the light coming in from the left versus the darker side on the right… I explained it as being dawn, but there’s something off. Anyway, it’s not a stunner… but it’ll have to do for now. 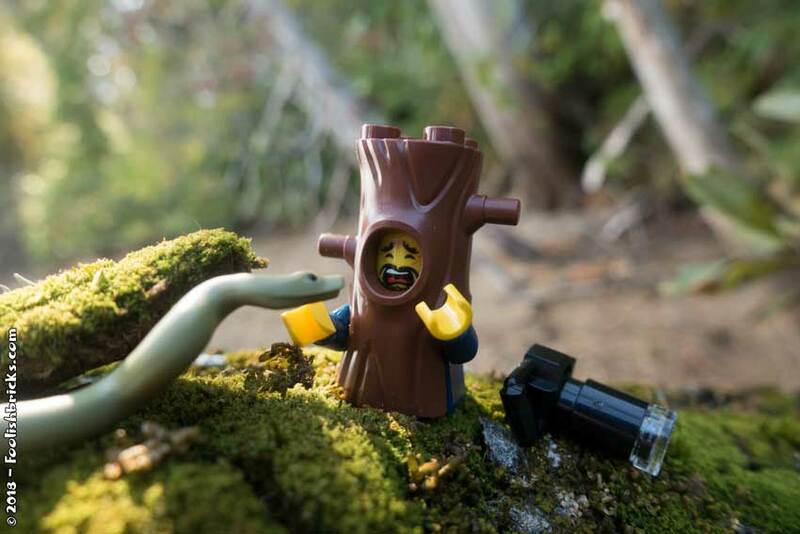 You can also subscribe to Foolish Bricks to receive a weekly dose of news and goodies from the surreal Lego world of Foolish Bricks. The All Lego shot is much better IMO. Probably because you had more time to work on it.